edition keeps readers on the cutting edge with the very latest information on nursing practice. 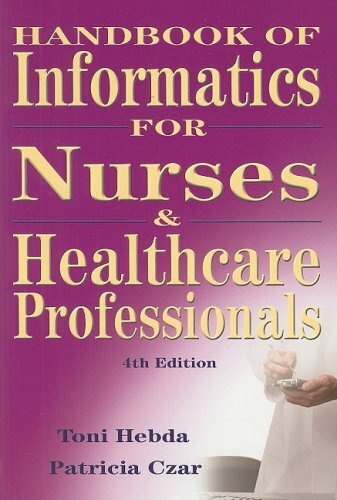 It presents more detailed coverage of basic anatomy and physiology, pathophysiology, medical management, and nursing care than any other book available. Its focus on clinical outcome management emphasizes patient outcomes and makes the material understandable. A completely new design integrates information in the book with web enhancements on the accompanying Evolve website, such as online exercises, care plans, client education guides, and clinical pathways, as well as more on chapter topics such as diversity, ethics, religious beliefs affecting health care, and more.Evidence Based Practice in Action boxes in certain management chapters present a synopsis of the research with 4-5 supporting article summaries, to help readers understand the clinical significance of a problem. 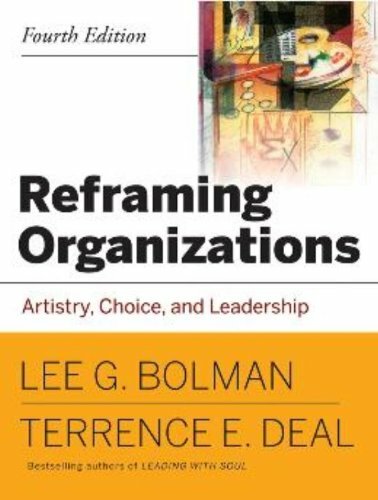 This feature has been revised for this edition.Concept Maps link pathophysiological processes, clinical manifestations, and medical and nursing interventions. A concept map creator on Evolve further enhances learning (Online).Complementary & Alternative Therapy boxes throughout the text highlight nontraditional therapies used by clients and healthcare providers to treat various conditions. This feature has been completely rewritten for this edition.Case studies present complex client scenarios with in-depth clinical problems, most with multiple clinical problems. 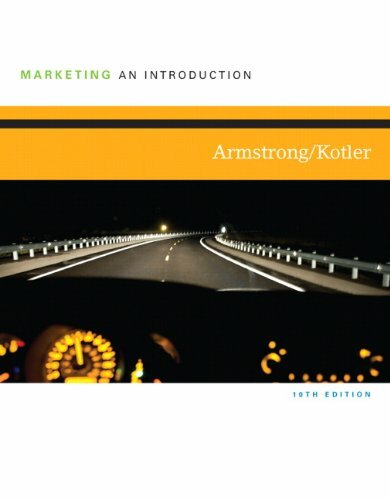 An introduction in the text ties each case to chapter content, and specific details about the case are presented on Evolve, followed by discussions, multiple-choice questions, and a nursing care plan (Online).Thinking Critically Questions conclude each nursing care chapter and pose short, typical client scenarios followed by questions about what actions to take. Discussions of all the questions on Evolve provide insight into the reasoning behind appropriate actions (Online).Diversity in Health Care boxes feature discussions of health and illness related to particular populations.Client Education Guides provide examples worded in client-centered language demonstrate how to teach clients to collaborate in their own care.Care plans are a tabular presentation of nursing care, using the nursing process format, highlighting both nursing diagnoses and collaborative problems, expected outcomes, interventions with rationale, and evaluation.Ethical Issues in Nursing discussions present an ethical dilemma in the form of a question, followed by an in-depth discussion (Online).Case Management boxes are all written by a practicing case manager, presenting key coordination and anticipatory issues to link nursing care with patient-focused case management (Online).Bridge to Home Health Care feature describes specific applications and strategies for med-surg care in the home, while broadening applications of content beyond hospital to the home setting where many nurses now practice.Management and Delegation boxes present the primary concerns associated with delegating care activities to assistive personnel. Three new topics include Overview of Health Care Delivery, Clients Having Surgery, and Management of Clients with Vascular Disorders.NOC boxes appear in chapters containing nursing diagnoses content. 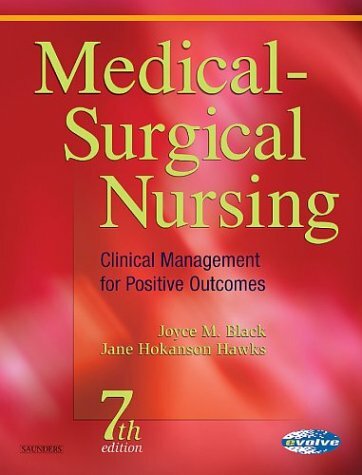 Appropriate suggested NOC outcome labels are presented at the beginning of chapters containing nursing diagnoses content to introduce readers to NOC language, the standardized nursing vocabulary for measuring patient outcomes.Bridge to Critical Care feature highlights major critical care concerns, and includes new bridges for defibrillation and transplant.Critical Monitoring boxes alert the reader to clinical manifestations that must be reported to the physician immediately.Anatomy & Physiology Review sections serve as introductions to each body system unit with a brief review of the relevant anatomy and physiology of the body system.Physical Assessment Findings in the Health Adult remind students of the relevant normal findings for each body system and demonstrate how to chart those findings with clinical precision.Excerpts from actual pathways used in hospitals are accompanied by a guide that shows what should occur at specific points in the pathway, as well as how to stay on track when caring for the client (Online).Appendices on Evolve include: Religious Beliefs and Practices Affecting Health Care, A Health History Format that Integrates the Assessment of Functional Health Patterns, and Laboratory Values of Clinical Importance in Medical-Surgical Nursing (Online).Special features, interactive exercises, weblinks, and bonus material on the Evolve website expand readers' learning and expose them to additional content and study tools online, beyond the comprehensive textbook material. (Online)Evidence-based content and references throughout the text are noted in the margin with a special icon.Integrating Pharmacology boxes address the purpose of each medication, how the medication reverses or corrects the pathophysiology or reduces side effects, and how the combinations of medications are synergistic.Genetic Links boxes present the description, genetics, diagnosis/testing, and management of specific diseases and "link" it to its corresponding genetics.Terrorism Alert boxes highlight the symptoms and diseases associated with bioterrorism.A list of special features on the Evolve site is provided on every chapter opener, as a quick, user-friendly summary that prompts readers to use the Evolve site as a complement to the text content.The most up-to-date content is presented in four new chapters: Genetics; Complementary & Alternative Therapy; Critical Care; and Rehabilitation.Anatomy & Physiological Review: Physiological Genomics unit opener for chapters on genetics, perspectives in oncology, cancer, wounds, and infectious disorders orients readers to important anatomy and physiology concepts.Anatomy & Physiological Review: Arousal, Pain and Conscious Awareness unit opener for chapters on pain, palliative care, sleep, psychosocial, and substance abuse orients readers to information that will be relevant to chapters in that unit.Spanish translations of all Client Education Guides are provided on Evolve (Online).